The Tangier Vanille comes in a rectangular bottle with gold accents and the cap is set with a smooth brown stone. 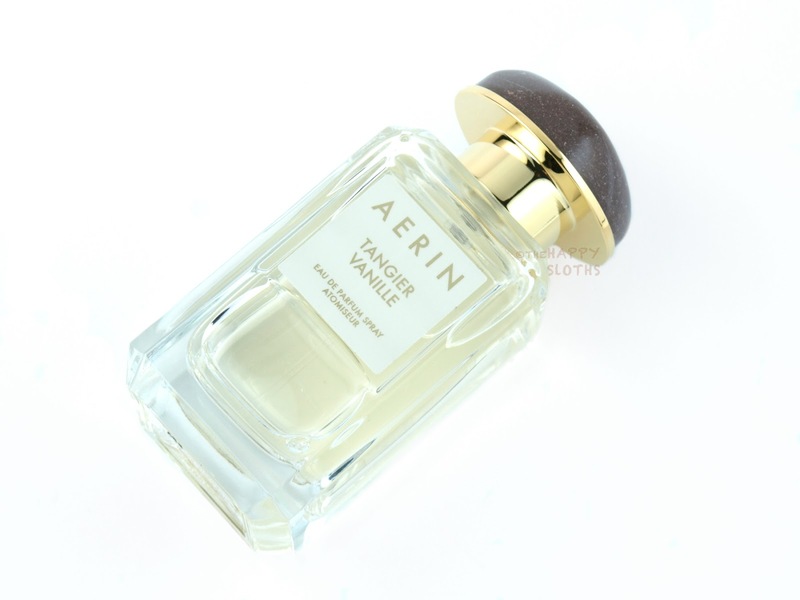 All of Aerin's fragrances are so simply packaged but the design just exudes an effortless elegance and class. The box of Tangier Vanille also features a print of a hand-printed, Northern African-inspired tribal pattern. 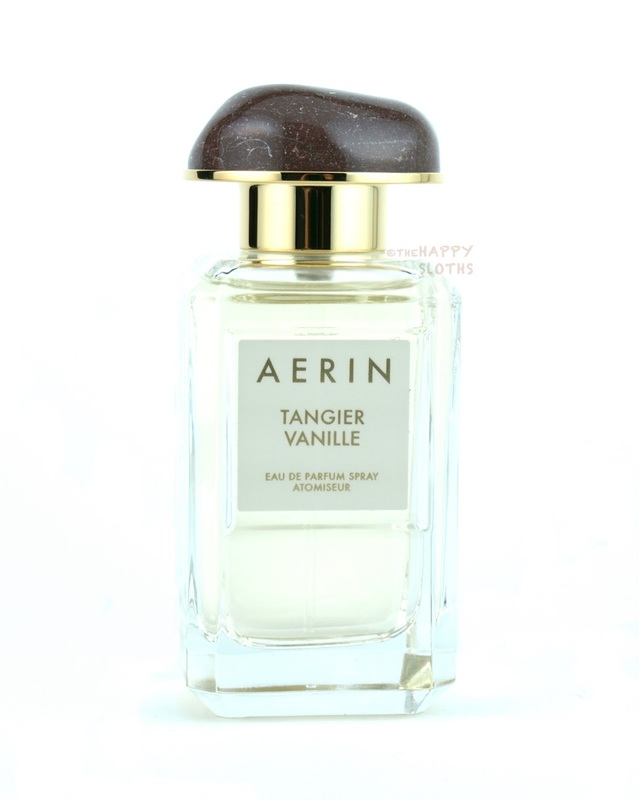 Inspired by the splendors of Morocco (the palaces, the gardens, and the bazaars), Tangier Vanille is a very warm fragrance dominated by its vanilla note. The fragrance opens immediately to reveal a warm vanilla/rose blend. The scent is incredibly strong and the wear is superb. I used two small sprays on my wrists and the smell literally stayed the whole day. I am very much a fan of warm and cozy scents but this one I find to be way too strong. The warm spiced vanilla is really pleasant and unique and first but as the perfume wears on and seemingly increases in strength over time (I don't know how that's even possible), it just gets a bit too rich and too sweet. 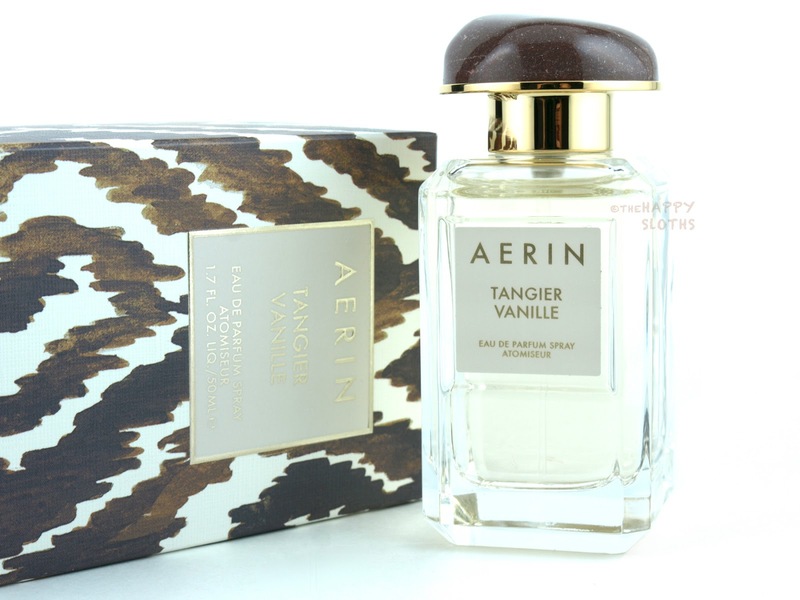 It's ironic because I tend to complain about fragrances fading too quickly and not smelling as strong as time wears on, but with Tangier Vanille, the opposite is true yet I am still not loving it. I think when it comes down to it, the combination of the vanilla, rose, tonka beans, and benzoin is just too intense. It's very intoxicating to say the least but to my nose, it's simply overwhelming and headache-inducing. With that said, fragrance preferences are so personal so if you love, love, love warm sweet scents then this may be your holy grail! However, if you are not sure about sweet vanilla fragrances, steer clear of this one! Aerin is available at Holt Renfrew, Sephora.ca, Nordstrom, Saks Fifth Avenue, and EsteeLauder.ca.